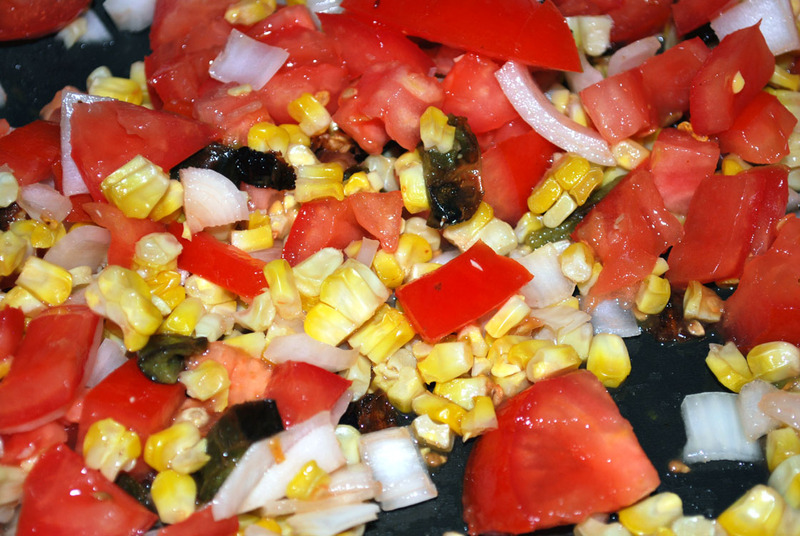 I have made this dip many, many times, but this is the first time I ever switched out store bought salsa for fresh tomatoes, onion, corn and peppers. Be warned, those peppers can be a bit spicy (as anyone at the Memorial Day party can attest). 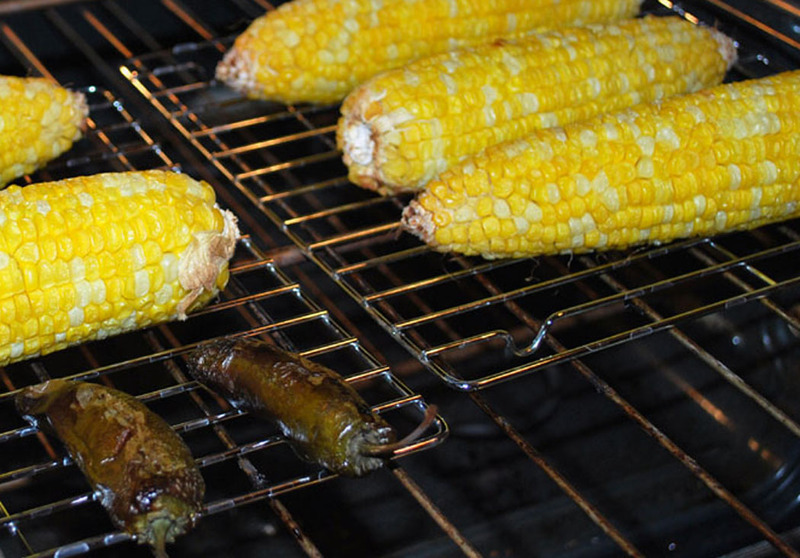 Roast corn and peppers. 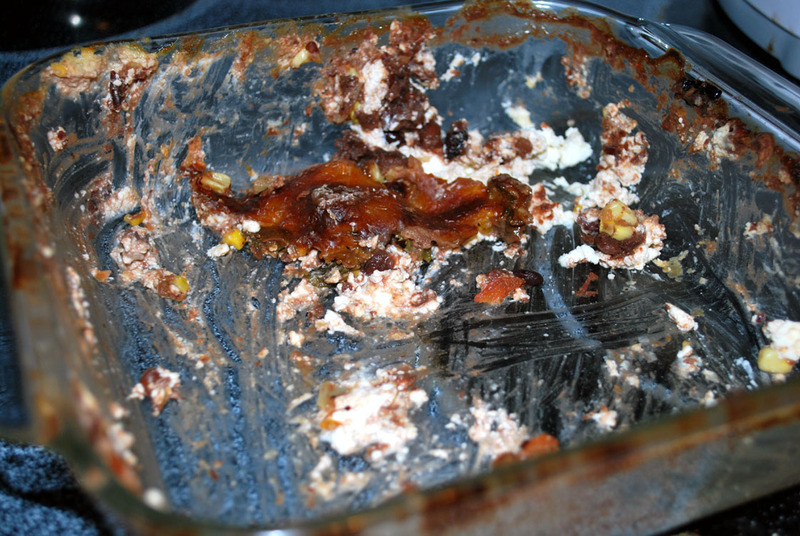 I did mine in the oven at 350 for about 45 minutes. Chop tomatoes, onion and peppers. Remove corn from the cob. Mix together and refrigerate overnight. For me the mixture filled a regular (8 ounce) Cool Whip container just about perfectly. 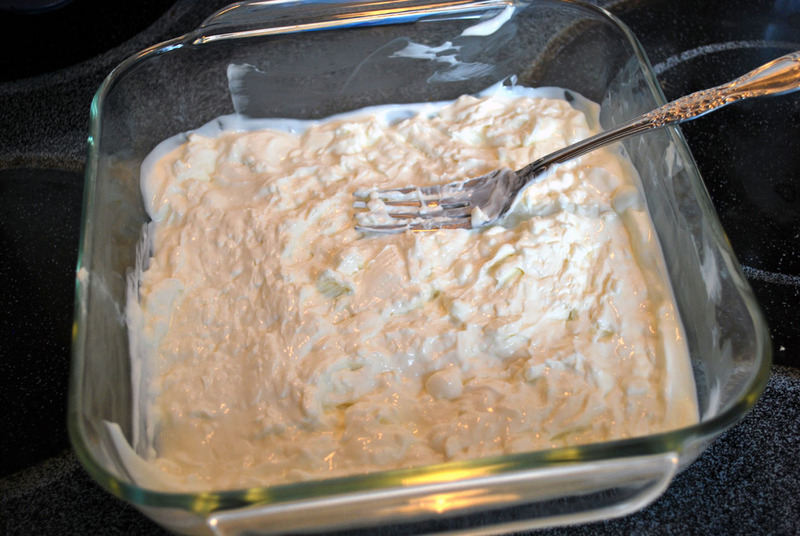 Warm the cream cheese in an 8×8 glass baking dish until it’s spreadable. Mix with sour cream. Smooth flat. 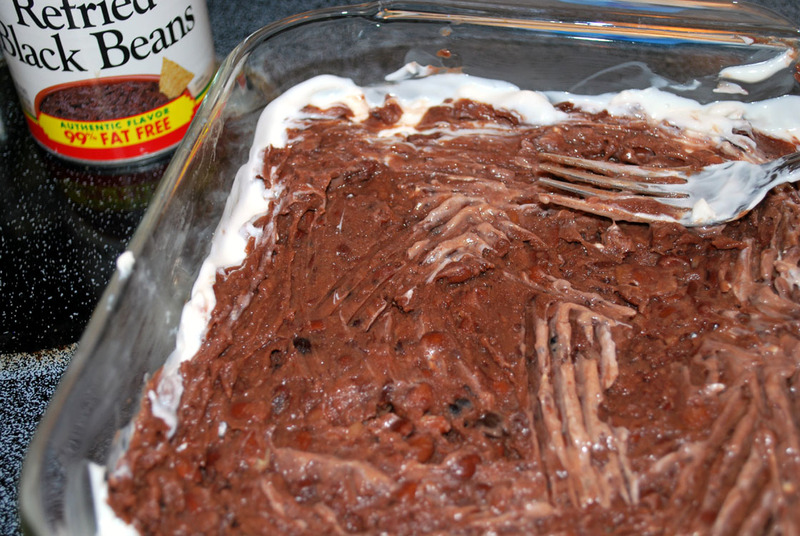 Stir up your refried beans and spread as evenly as possible over the cream cheese/sour cream mixture. 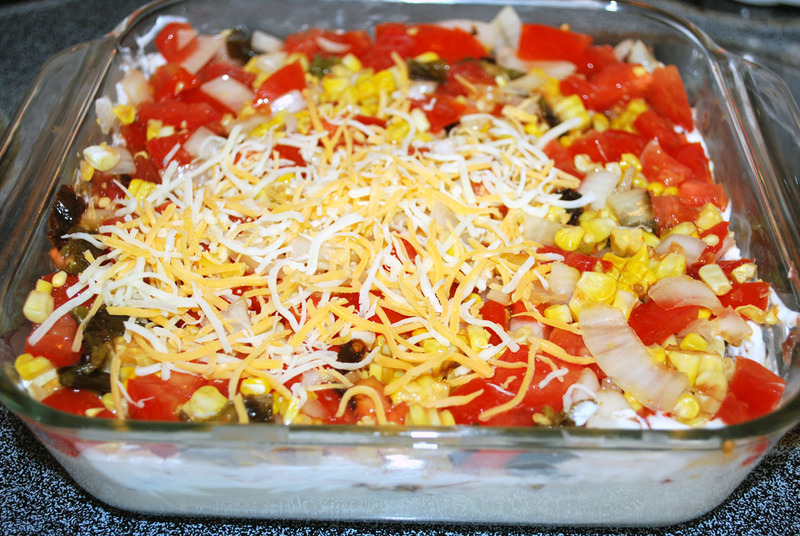 Remove your chopped mixture from the refrigerator and spread evenly over the refried beans. Sprinkle cheese over until covered. 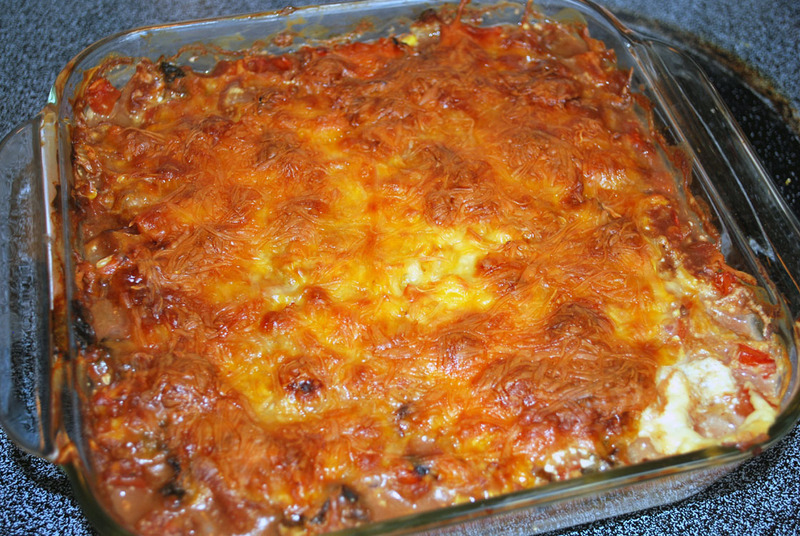 Bake at 325 for 45 minutes or until the cheese has browned. Allow to sit until cooled enough to not scald you and serve with tortilla chips.